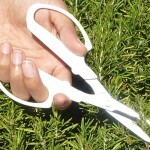 Originally designed for harvesting grapes, these multi-purpose scissors can be used for all sorts of tasks. Throw one in your tackle box or sewing kit. 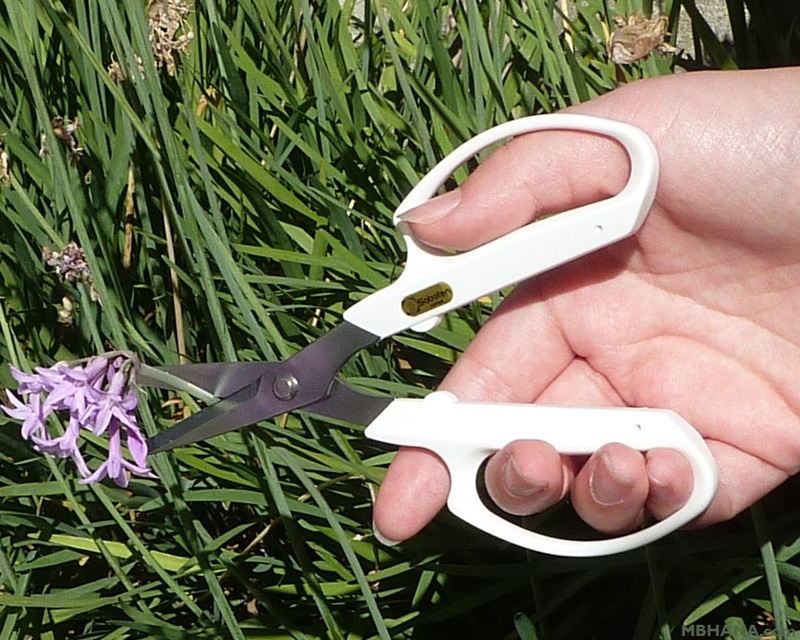 Use them in the kitchen to open food packages, cut twine, clip coupons and snip herbs. 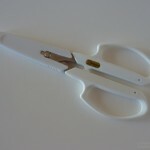 They are great for scrapbooking and other paper crafts that require precise cutting. 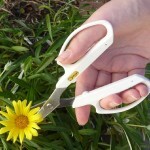 As garden scissors, they are perfect for trimming houseplants, flower arranging and bonsai. Made in Japan by Saboten, “The Hallmark of Quality in Garden Tools." in the scissors cap - right where you need it. 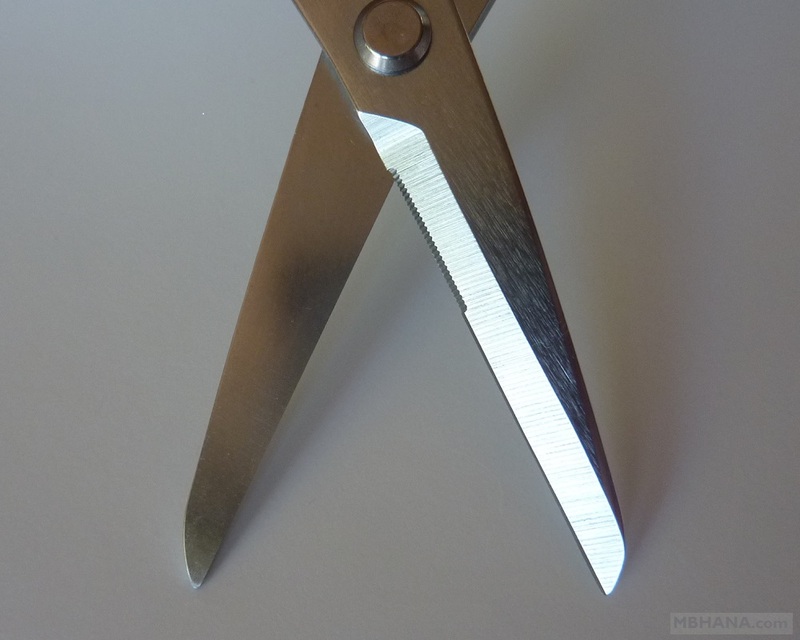 You always have it handy to maintain the sharpness of your shears. Use it to sharpen other blades as well. micro serrations on one blade help grip the material. plated with chromium to cut smoothly and resist rust. 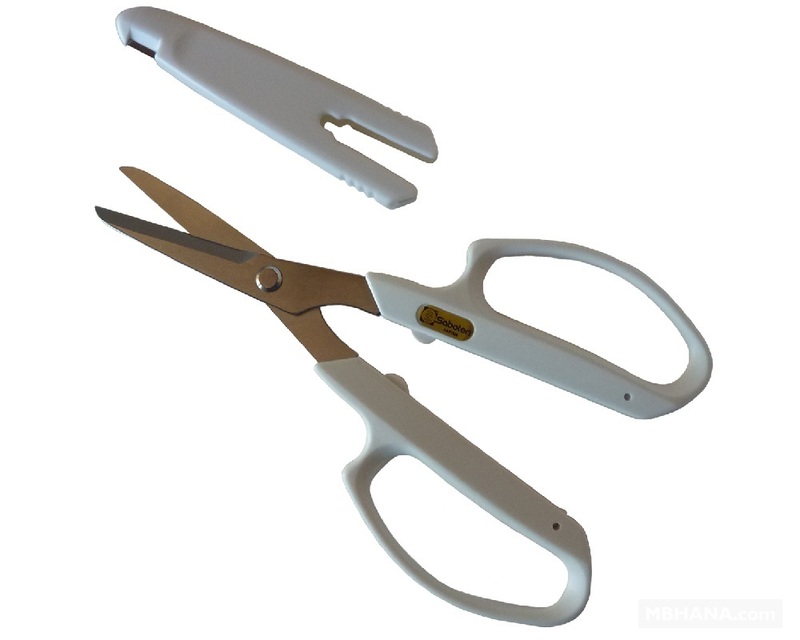 Symmetric handles lets you use these shears with either your right or left hand. to allow comfortable extended use and reduce hand fatigue. 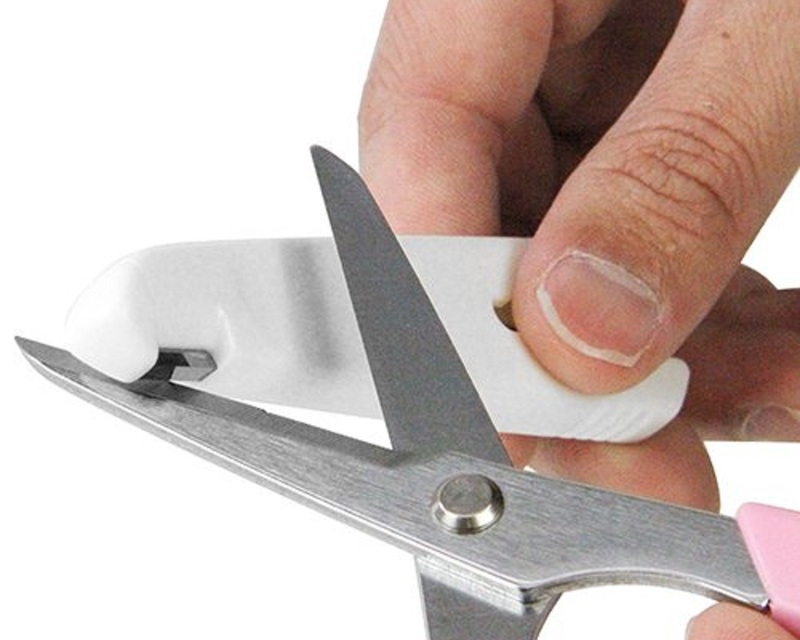 in the scissors cap to keep your scissors sharp. You can use it to sharpen other blades as well.